I'm Bail Hope, a student just like you. I noticed you are new, and I just thought I'd leave you a message to explain a few things which might seem overwhelming to you at the moment. Every member has his/her own profile, on which you can leave messages for these people. It's also handier if you answer these posts by leaving the message on their profile, and not on your own. Next important thing is GMT-offset. When you filled in your profile you must have noticed the field: GMT Offset. In the drop-down list, you select your own region, for instance: Northern Europe. Then, when you are finished filling in your profile, don't forget to click Update your Account. Also, to get a pic, you have to select a picture (on your own Hard Drive) which has to be a JPEG, GIF, or PNG image, and it can't be larger than 250 x 250 pixels in format. First off, and most important, is the rules page. Go read these rules before continuing please. These are very important if you would like to have a future in the Jedi Academy. So please try not to violate them. Next important page is The Servers Page. Here you shall find all info (if you're logged in) for all the servers used by the Jedi Academy. Please note: If you give out the passwords to anyone outside the Academy you will be banned without a warning! These servers are made private for a reason! Next, which is also considered very important is the The Holocron. 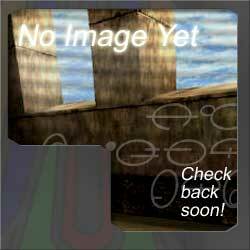 In here you will find a whole lot information on Jedi Knight 2 and Jedi Knight 3. Also, you'll find loads of info on the Jedi Academy and how to get a master in the Holocron. The next links are of less importance, but can still be very helpful. First off: The Articles Page. Here you'll find articles, for yor reading pleasure. Second: The Links page. Here you can find all the links that have a relation to the Jedi Academy. Next is the About Us Page. Here you can find all the people who have a rank, and also a textbox where you can enter a name, of the person you're looking for. Next is the Classes Page in which you shall find all the info for the classes. If you have set your GMT-Offset (see above) correct, you shall notice that all times appear in your time. So if it says 8 o'clock, it'll be 8 o'clock. This is done so you don't have to calculate or anything. Also, if you want to know what classes are great to start out with, please go here. Here you can connect to IRC and chat with other JA-members. However, I do urge you to download mIRC, the chat client, which will allow you to chat on IRC without going to this window. Also, a little note on the BBcode, which can make text bold, or make text in to a link, which I have used frequently throughout my welcome post. So, I guess this is everything you need to know.